On your marks. Get set. Lemon, cello, GO! Everyone's favorite game maker, Mr. Lemoncello, is testing out his new FABULOUS FACT-FINDING FRENZY game! 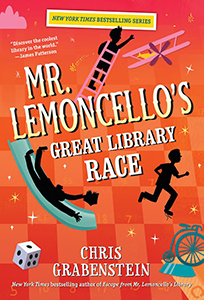 If Kyle can make it through the first round, he and the other lucky finalists will go on a great race—by bicycle, bookmobile, and even Mr. Lemoncello's corporate banana jet!—to find fascinating facts about famous Americans. The first to bring their facts back to the library will win spectacular prizes! But when a few surprising "facts" surface about Mr. Lemoncello, it might be GO TO JAIL and LOSE A TURN all at once! Could Kyle's hero be a fraud? It's winner take all, so Kyle and the other kids will have to dig deep to find out the truth before the GAME is OVER for Mr. Lemoncello and his entire fantastic empire! Filled with brand-new puzzles and games (including a hidden bonus puzzle! ), this fast-paced read will have gamers and readers alike racing to the finish line because, like Mr. Lemoncello's commercials say, IS IT FUN? HELLO! IT'S A LEMONCELLO! Click here to check out the fun extras! 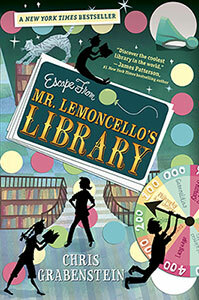 "Maybe the best Lemoncello yet, with a gripping plot, wild inventions, sneaky villains, and clever tweens who put aside their differences and pool their talents to save their hero and his library." "Grabenstein blends suspenseful adventure, humor, and wishful thinking, seasoning it with riddles, rebuses, wonderful wordplay, and plentiful allusions to children's literature.. Good entertainment with some meaningful messages." "With just enough mystery and twists to keep readers guessing, this third series offering is a valuable and useful tool for classrooms and libraries in teaching the importance of doing responsible research." 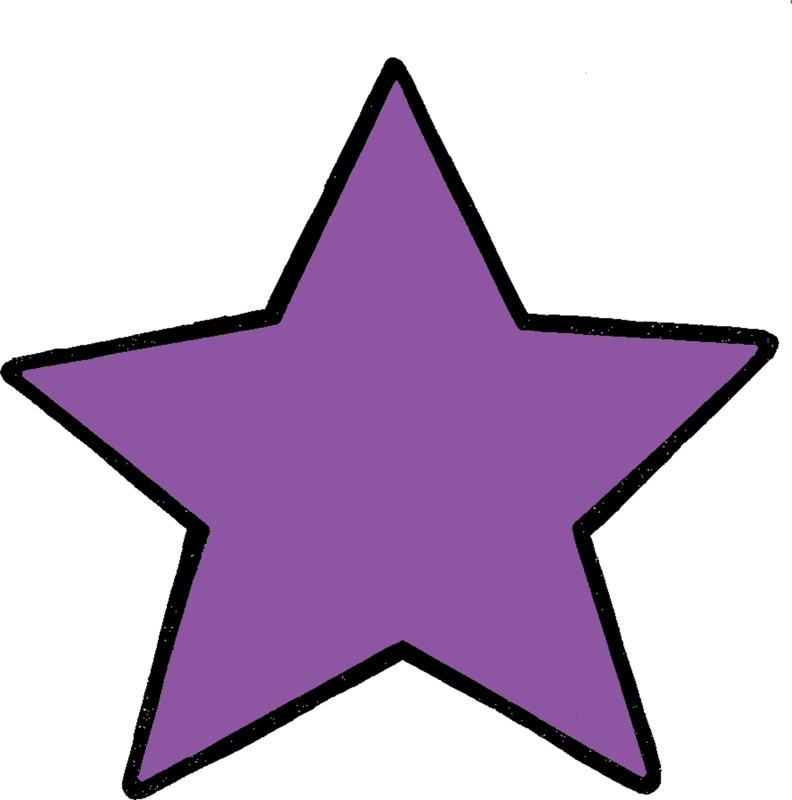 "Fans will embrace this entry, which features lightning-fast pacing and zany plotlines. Educators will be pleased by the emphasis on careful research and fact-checking. VERDICT chock-full of literary references, [it] will have readers racing to pick up the next volume." 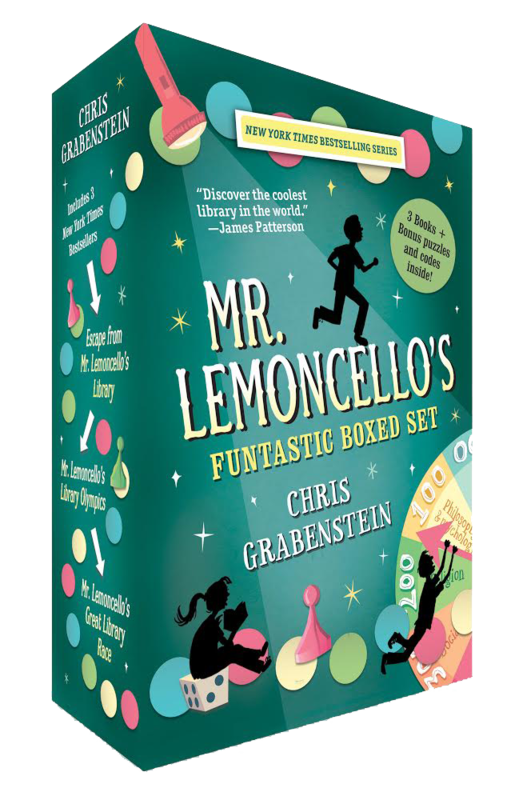 Discover the New York Times bestselling series and what James Patterson calls "the coolest library in the world" with the first ever Mr. Lemoncello boxed set! BONUS puzzles and codes inside! 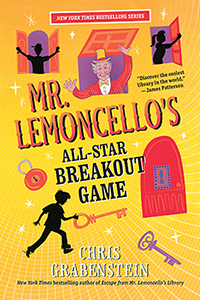 Calling all readers and gamers—read the books, play the game with Mr. Lemoncello's first ever box set! 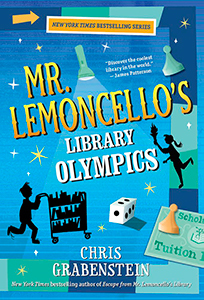 Mr. Lemoncello's Gametastic Boxed Set includes three paperback editions of the New York Times bestselling books: Escape From Mr. Lemoncello's Library, Mr. Lemoncello's Library Olympics and Mr. Lemoncello's Great Library Race AND a special insert with bonus puzzles and codes! Perfect for holiday and birthday gifts! 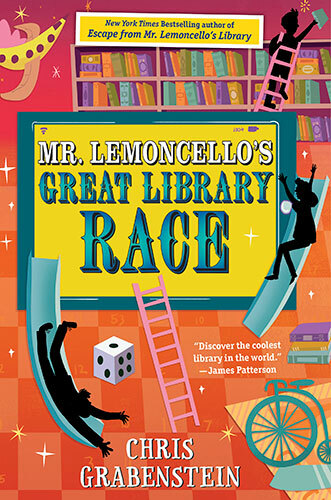 With over ONE MILLION books sold and packed with puzzles, codes and adventures, the Mr. Lemoncello books puts the fun in fun-tastic! After you’ve solved the puzzles in the Box Set, check out the answers here!